Hammered 22-karat yellow gold plating. 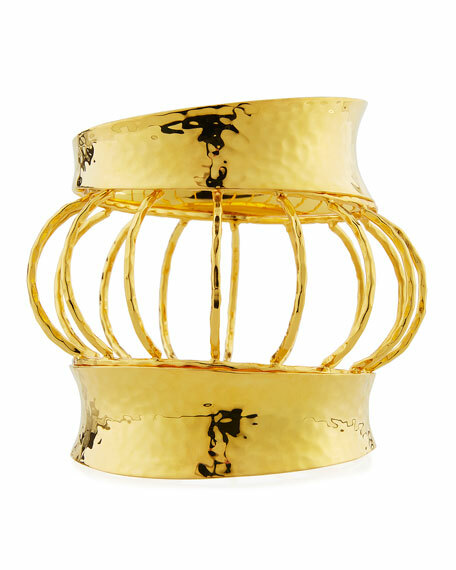 Two tapered bangles and one caged bangle. 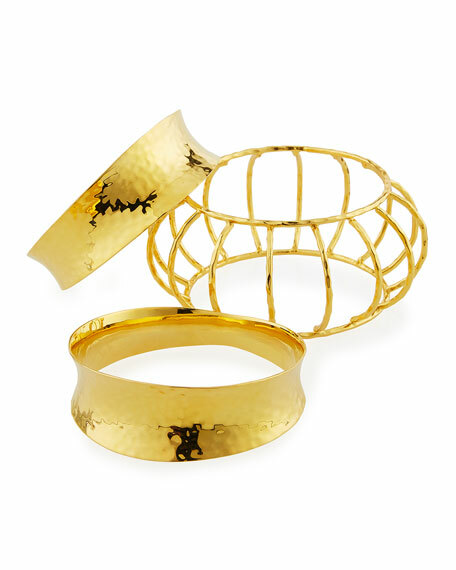 May be worn as set or separately.